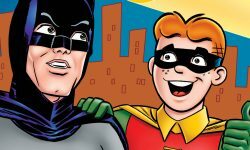 Home Posts tagged "archie meets batman"
What’s new in the town of Riverdale? 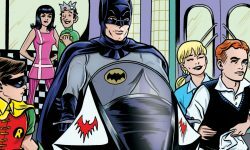 Take a look below at previews of ARCHIE MEETS BATMAN ’66 #2, THE BEST OF ARCHIE AMERICANA VOL. 3: BRONZE AGE (TP), MARVEL COMICS DIGEST #8 SPIDER-MAN & VENOM, and ARCHIE & FRIENDS DIGITAL DIGEST #7. 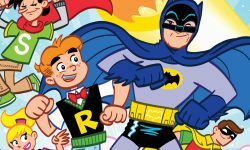 The Riddler hits the streets of Riverdale in ARCHIE MEETS BATMAN ’66 #2! What’s new in the town of Riverdale? 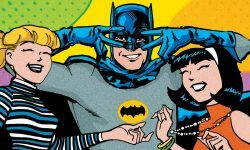 Take a look below at previews of ARCHIE MEETS BATMAN ’66 #1, BETTY & VERONICA VIXENS #8, JUGHEAD: THE HUNGER #7 and VOLUME 1, and B&V FRIENDS JUMBO COMICS DIGEST #263.